Polk is always ready to amaze us with their solutions and the technologies they use. If we compare Polk audio PSW111 vs PSW10 in terms of technologies used we will see that both models were designed using the Klippel measurement technology and it is very important since it helps to provide us with good sound. 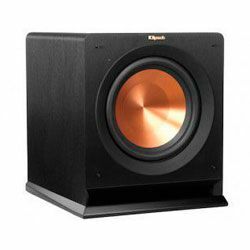 These models also have many common features, like different adjustable parameters that can help you blend the subwoofer with the other speakers you have. Both models have an MDF construction that is completely resonance-free. The main advantage of PSW111 (without concerning its high dynamic power) is its high compatibility since it has many connection options, so you can connect it to different systems. The disadvantage is that you may get a device with an unreliable amplifier that can fail too fast. The advantage of PSW10 is its solid construction that excludes any resonance, even if you set the volume high. The disadvantage is that it does not feature an LFE input, but it is not a major issue, it is recommended to use either “L” or “R” input. Plus it is not very powerful. 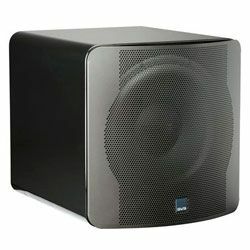 If you need a good subwoofer and you need to choose between PSW10 vs PSW111, then you should understand if you need much power. 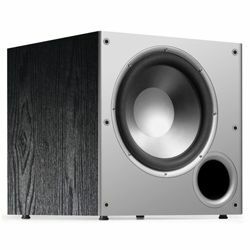 PSW10 gives clear sound and it is a great option for small rooms. It gives a good “booming” sound if you watch a film or listen to your favorite music. PSW111 is an option for middle or large rooms where you need much power. This model is too overpowered for small rooms. In any case, both devices can provide you with crisp, distortion-free sound even if you crank the volume to the maximum. Do not ignore the price as well, since PSW111 is more expensive. This model features a single 8-inch subwoofer with the minimal distortion due to using of the compression circuitry. The special enclosure construction with internal bracing eliminates any resonance. It is designed using modern technologies, like Klippel distortion analyzer. Many connection options – LFE, line, speaker level inputs. It provides natural bass without the sound is too “deep”. Many parameters are adjustable so you can easily blend it with the other speakers you have. The internal amplifier is not reliable. It has a single 10-inch polymer-composite cone driver. 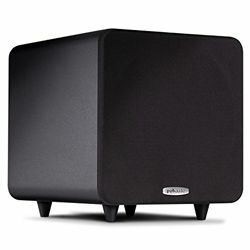 This model features a high-current amplifier that gives you bass sound. This device is designed used Klippel measurement technology that helped to guarantee deep and precise sound. The construction is non-resonant, which also help to output clean sound. The auto on/off feature that uses a signal from the device it is connected with. Volume, low pass filter, and phase switch control provide you with great flexibility. The solid construction eliminates any shaking even if the volume is high. It is not very powerful.